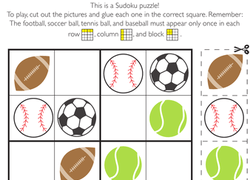 On this kindergarten math worksheet, kids use their logical reasoning and critical thinking skills to solve a fun Sudoku puzzle with a sports theme. 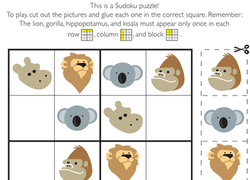 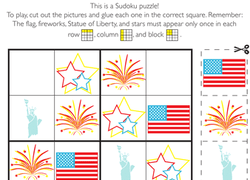 Build shape recognition and logical reasoning with this series of block puzzles! 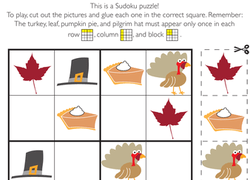 Similar to tangrams, kids will use blocks to fill in each puzzle. 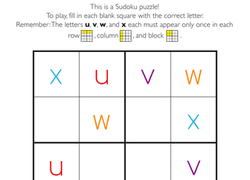 In this kindergarten math worksheet, kids use logical reasoning and critical thinking skills to solve a Sudoku puzzle with lowercase letters E, F, G, and H.
Take the block puzzle challenge! 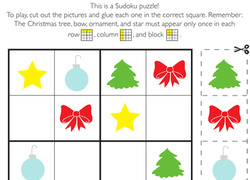 This series of tangram-style geometry puzzles is a great way to build logic skills in your kindergartener. 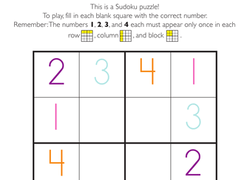 On this kindergarten math worksheet, kids use their logical reasoning and critical thinking skills to solve a colorful Sudoku puzzle. 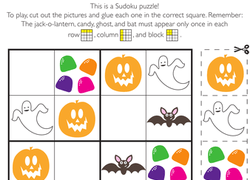 Looking for a worksheet to help your child help with his cutting skills? 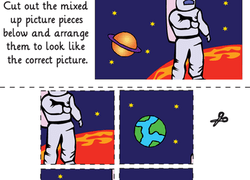 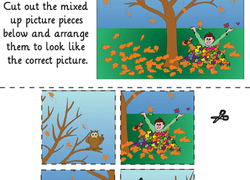 This kindergarten printable is all about putting together a simple picture puzzle. 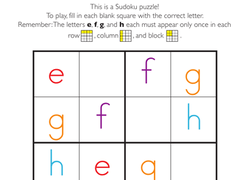 Kindergarteners will combine math and reading skills in our lowercase letter Sudoku puzzle. 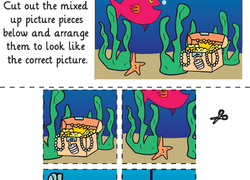 Your kid will fill in missing Y's, Z's, A's, and B's in this puzzle. 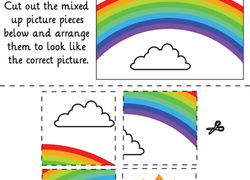 Help your child gain practice with his cutting skills with this kindergarten worksheet that's all about putting together a simple picture puzzle. 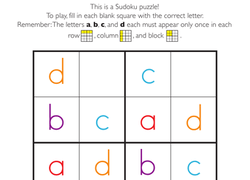 Exercise logical reasoning, critical thinking, and letter recognition skills with our letter Sudoku puzzle. 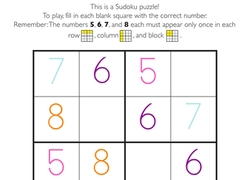 It's perfect for kids who like math and reading. 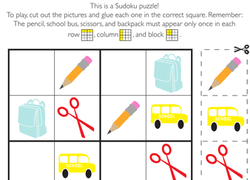 Kindergarten students who love math and reading will enjoy our Sudoku puzzle. 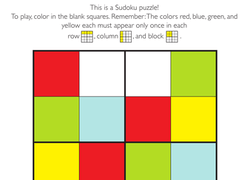 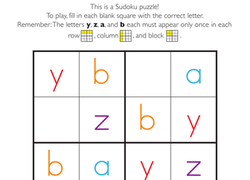 Try our Sudoku puzzle to exercise critical thinking and letter recognition skills. 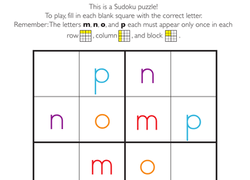 Complete this easy Sudoku puzzle featuring lowercase letters m, n, o, and p! 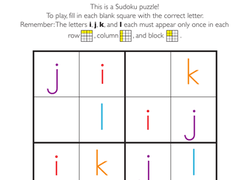 Solve it by writing lowercase letters only once in each row, column, and block.